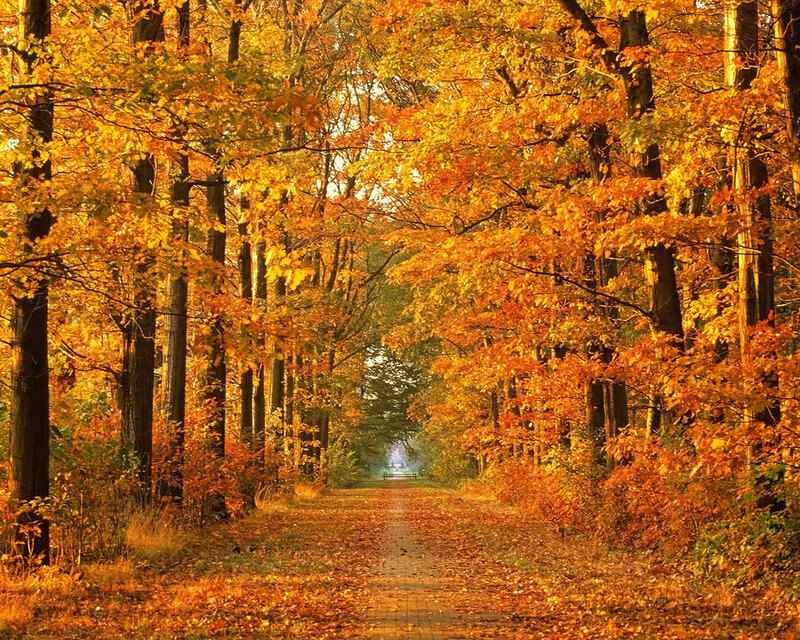 This poem is full of such beautiful, melancholic and autumnal images. I particularly love the line in the first verse, “As if far gardens in the skies were dying”. 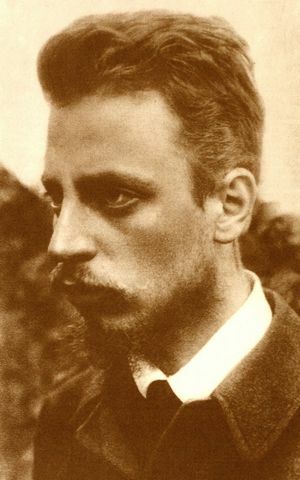 This image strikes me as so uniquely brilliant, and makes me eager to read more of Rilke’s work. Autumn, uses the notion of “falling” throughout, mirroring, of course, the falling of the leaves and the dying of the year. The season of Autumn is often attached to a state or tone of melancholy, as it inevitably reminds us of the the seasons of our own lives winding down. This notion is expressed in a line so memorable here that I am sure I will be unable to forget it: “And in the night the earth, a heavy ball,/ Into a starless solitude must fall.” The idea of the earth being a heavy ball promotes the feeling that none of us are immune to the melancholy of the passing of time, and the “starless solitude” is just a perfect coupling to create a vision of the bleakness of the state of mind being described. Reading this poem also brought to my mind the idea of a tyrannical God (those who have read the late Christopher Hitchens’ explosively erudite and enjoyable God Is Not Great will be familiar with the notion of God as a dictator. Hitchens memorably described a world in which God exists as a ‘celestial North Korea’.) Although I am by no means an atheist, I find this image fascinating, Hitchens’ argument compelling, and would like to stretch it further while reflecting on this poem. I think that the tyrant in this poem can encompass the political dictator, a tyrannical deity, but also the Artist (i.e. poet, writer, painter, composer etc. 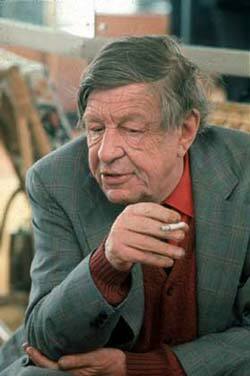 ), and even the scientist (whose intellectual quest to understand all can lead him at times to “play God”). Like many of his other odes, this one is addressed directly to its subject. Autumn, in this piece, is an entity with its own character, and, to my mind, represents the person entering middle-age. 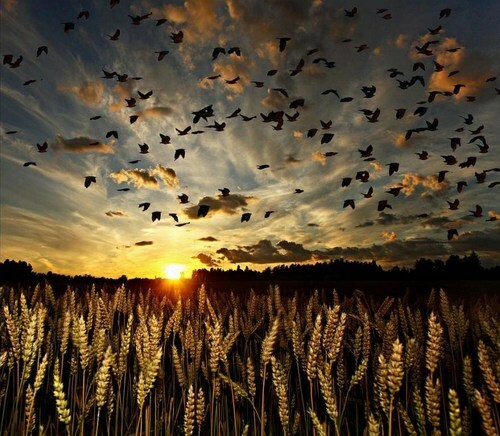 I love the images given of “Thee sitting careless on a granary floor/ Thy hair soft-lifted by the winnowing wind”. This image to me is very beautiful, and there seems a playful, almost childish aspect to it. I particularly like the word “careless” because it delivers the sense that this person has lost the seriousness of youth (I mean, the way youth can tend to take itself too seriously). Keats mentions “thy store”, the “granary floor”, the “laden head” of Autumn and its “patient look” – there is wisdom here, and generosity.